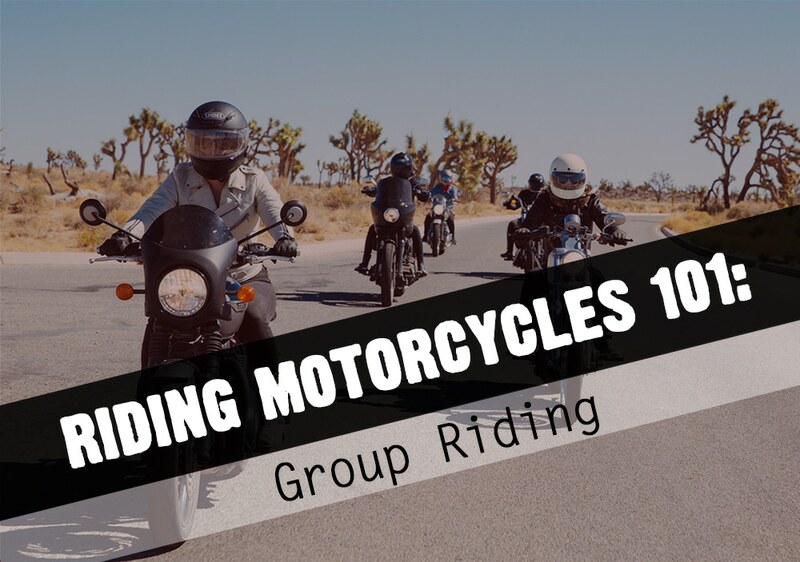 For a lot of people, group riding is the main reason they got into motorcycles. 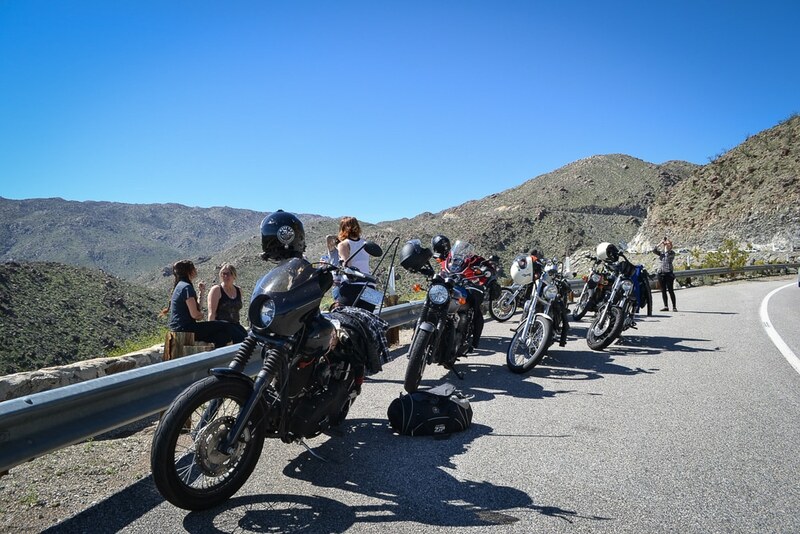 It’s fun to get out with your friends on the road and experience something together. However, if you’re new to group riding, you could be a danger to everyone around you. Here are a few things you should keep in mind as you start out riding with other people. 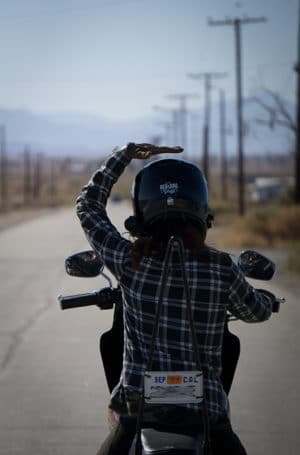 If you don’t know your hand signals, you shouldn’t group ride yet! Hand signals are the easiest way for riders to communicate with each other on the road and move as a unit. LeftLeft hand out to indicate a left turn or a lane change to the left. Some riders point, others use a flat hand. RightAn open palm or a finger up on the left hand means right turn or a right lane change. StopA closed fist atop a bent arm usually means the group is stopping. Either roadside for something, into a gas station or lunch stop, or anywhere else you might be pulling over. U-TurnA finger twirl above the helmet means it's time to make a U-Turn! SlowA flat palm - usually waving down - means slow down. This could be due to something in the road and the rider in front is letting you know to brake quickly. PoliceRepeated taps on the helmet mean there's a cop around, or a situation ahead involving emergency personnel (accident, fire, road closure, etc.). You will usually see this from riders coming the opposite direction. It's polite to return the favor if you see something riders coming the other way should know about. Don't Run That OverStick your foot out over any debris, potholes, or other obstacles in the road to alert the riders behind you. Left foot for the left side, right foot for the right side! The safest way to ride in a group is to stagger in the lane. That means that the leader is in the front on the left (or right) side of the lane, the second is just behind on the OPPOSITE side of the lane, the third is behind the leader, and so on. This gives everyone enough space and time to react to things on the road. 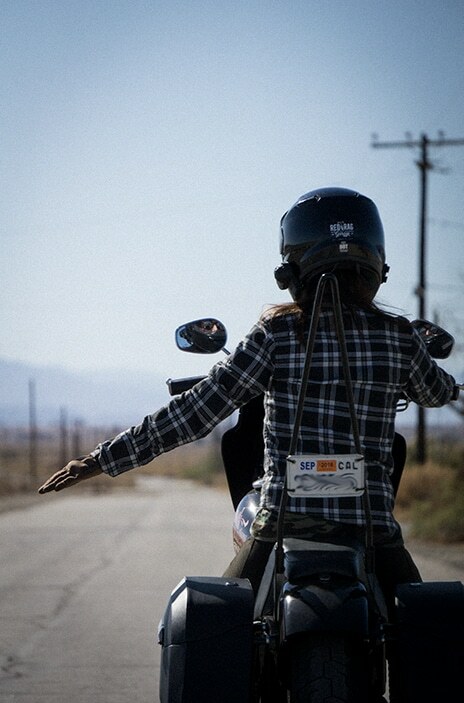 On the highway, I like to ride where I can see the rider in front of me in their own mirror. This is close enough that cars can’t cut between us and it gives me enough space to react. I am a more aggressive rider and I want to use the whole lane on a curvy road. 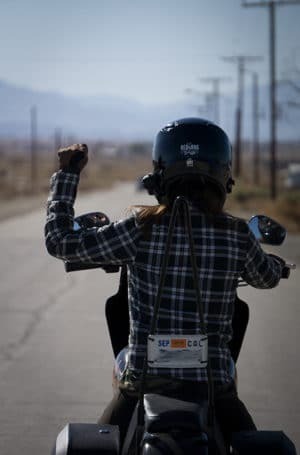 I try to stay largely in my part of the lane and to maintain the stagger as much as possible, but I always leave room for the rider in front of me to use the whole lane and expect that the rider behind me is doing the same. You return to the tighter stagger when you hit straight roads. When you’re riding in a group, you are responsible for everyone’s safety to a certain degree. If you do something unexpected, you could cause a chain reaction and hurt another rider. Always remember to use your hand signals and look for all the bikes around you before making a sudden movement. It’s a lot easier to make a u-turn than it is to help everyone pick up their bikes after you slammed on the brakes. If you’re joining an established group for the first time, take it easy and observe how they ride together. Some groups prefer to stay together, some will split up a little and wait at turns for the group. Some groups have unique hand signals. A lot of the time groups who ride together put their faster riders in front and slower riders in the back – as a new addition you won’t know where to go at first, but assume it’s toward the back while you get a feel for everyone’s abilities and riding styles. Other groups have individual preferences – our regular riding group has a couple of people who just prefer being in the back of the group even though they may not be the slowest riders. You may not like their style and decide not to ride with them again, or they might not like yours and not invite you again. It can be hard to find a group that you really gel with – and that’s ok! 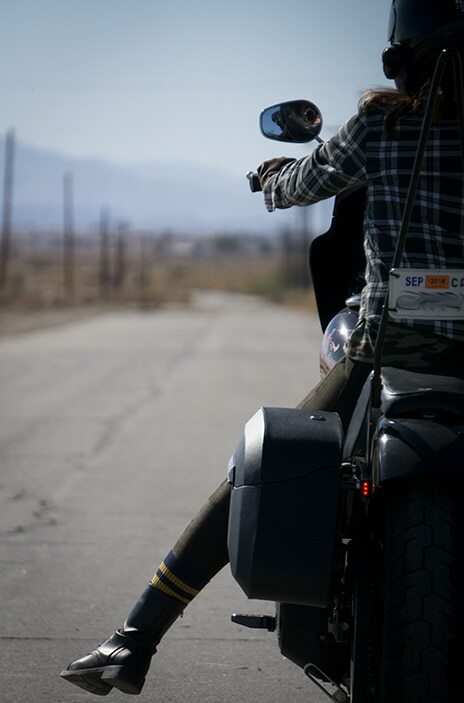 Just keep going out and meeting new riders and you’ll come across people who you like to ride with. There is a certain level of trust you need to have for the leader of your group to be safe and predictable. This means that you change lanes when they change lanes, you turn when they turn, you stop when they stop. You can create dangerous incidents when you try to change the course of a group from the middle or back of the pack. I haven’t found this to be the case with many women riders, but I have seen it plenty of times with men. Sometimes an experienced rider will end up with a group that rides more slowly than they prefer to ride. This is ok, but what isn’t ok is passing the whole group at a high rate of speed without communicating it, stopping unexpectedly on the road, or doing tricks or stunts within the group. There are groups out there that stunt together, or ride faster. So if the group you are with is not one of those groups but that’s what you’re after – find a new group. 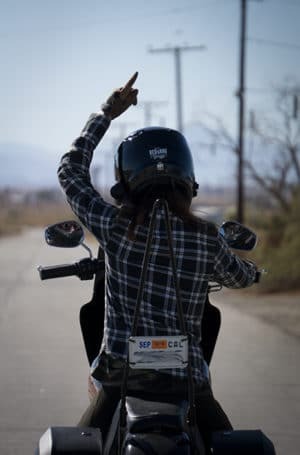 It’s always a good idea to agree upon hand signals, basic route, and stopping points while you’re stopped for gas or getting started on the ride. This way anyone who is separated can find the group again, and no one is totally blindsided by a turn. It’s also a good idea to plan to stop for gas within the limits of the bike with the smallest tank. It’s annoying to stop every 50 miles for a chopper when you have a 200 mile range, but it’s even more annoying to wait for someone to push their bike 10 miles to the next gas station. 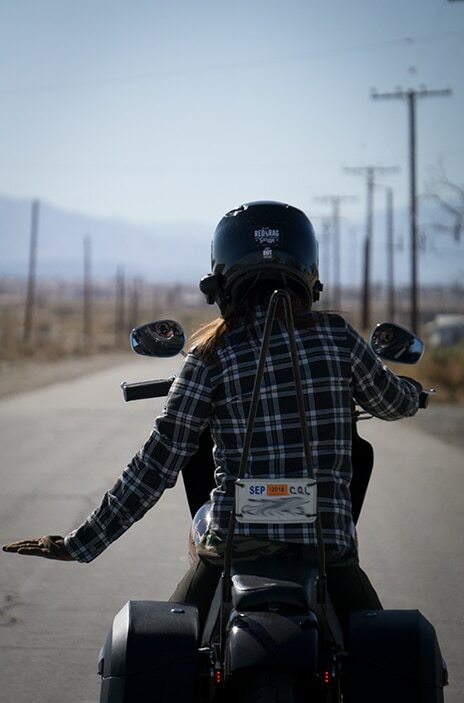 As always – you should never do anything on a motorcycle that is beyond your abilities. There’s no shame in tapping out of a group mid-ride as long as you do it SAFELY and predictably (and preferably at a stop). If you can’t keep up, aren’t up for passing cars on two lane roads, or anything else – just let the group know that you’ve enjoyed riding with them but they are too advanced for you right now. Some groups are happy to tailor their riding to accommodate newer riders and some aren’t, so be upfront about your skills so everyone has the best experience.